Southampton: South Africa captain AB de Villiers insisted his side had done nothing wrong after they found themselves caught up in a fresh ball-tampering row on Saturday as they lost their one-day international series against England. The hosts somehow managed to win by two runs at Southampton to go 2-0 up when it seemed South Africa were on the brink of levelling matters ahead of Monday's third and final ODI at Lord's. After the 33rd over, it appeared he was trying to get the ball changed. But de Villiers later revealed he was in fact insisting to umpires Chris Gaffaney and Rob Bailey that the Proteas were not responsible for illegally altering its condition. 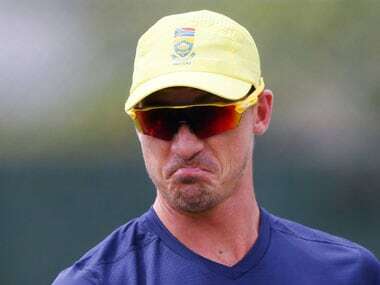 The vexed issue of ball-tampering is particularly emotive for South Africa given that Test skipper Faf du Plessis was fined his match fee by the International Cricket Council in November for shining the ball using saliva generated by sucking on a mint during the Proteas's second Test win over Australia in Hobart. 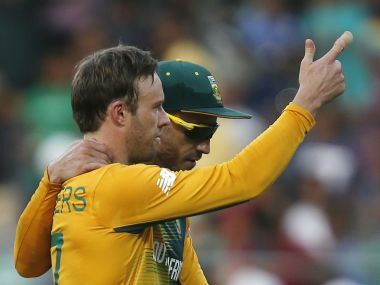 On Saturday, de Villiers felt his side risked being accused once again, although he added the fact the umpires did not in the end change the ball was proof of the Proteas' innocence. Asked at a post-match news conference if he felt he was being held responsible, de Villiers replied: "Yes, I did." He added: "The umpires felt the condition of the ball changed, in a way making me feel we were responsible as a team. "I was quite upset about that ... (but) it's done and dusted now. Nothing happened, there were no fines given or anything like that." Reflecting on his conversation with the officials, de Villiers said: "I expressed I was quite upset about it. "I told the umpires we had nothing to do with the condition of the ball ... no further steps were taken ... and we move on. "Generally there is a warning or a fine, but none of that happened. That tells me they realised we were innocent in this case. "I honestly think it was just a bad ball today ... which happens sometimes, the leather comes off sometimes. "Unfortunately, the umpires didn't agree with that." De Villiers's mood would not have been improved by what happened late in the game. South Africa needed just 10 runs from the last 10 balls to level things up at 1-1. But they finished on 328 for five in reply to England's 330 for six as David Miller (71 not out) and Chris Morris just fell short after Quinton de Kock (98) and de Villiers (52) had set up the chase. Containing bowling from England pacemen Jake Ball and Mark Wood, whose combined figures were a seemingly unimpressive none for 129, kept them at bay. "I got a bit excited there at the end - I thought we had it in the bag," said de Villiers. "I thought Chris and David played a great hand in that partnership to get us so close ... (but) you've got to give credit to the last two bowlers for England. "They showed some great skill and good plans." 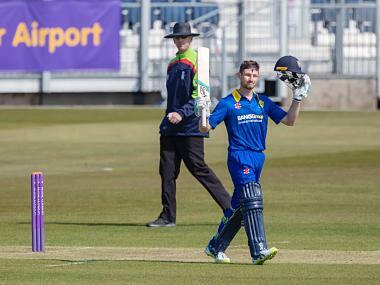 England all-rounder Ben Stokes was named man of the-match after making 101, equalling his highest ODI score, but Ball and Wood got England home as the tournament hosts enjoyed a morale-boosting success ahead of next week's Champions Trophy. "I don't know how to explain it really," said England captain Eoin Morgan. 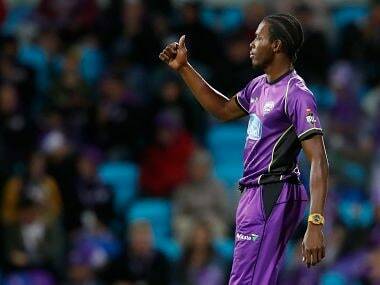 "To have won it without taking wickets (in the last two overs) is an unbelievable effort. 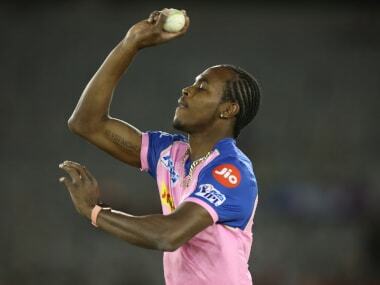 "Woody's yorkers are usually very good. So going against what he's naturally good at, and just with his raw pace and variation with cross-seam off the wicket, worked through the day. "Then in that last over I think he might have bluffed him a couple of times."